I write a lot about loving your neighbor, or even loving your enemy, in the context of Christian-Muslim relations, where everything from prejudice to outright violent persecution is a daily reality for millions of people of faith. This crucible of the human experience is not lost on Hollywood either. But rather than make a politically controversial film about Muslims persecuting Christians or vice-versa, Director Martin Scorsese brought to life the horrifying persecution of Christians at the hands of the Japanese shogunate 500 years ago in his film entitled SILENCE. 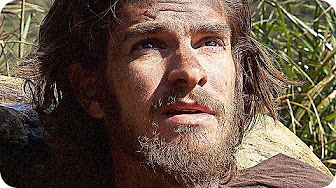 In the film, Andrew Garfield plays the role of a Jesuit priest tasked with searching for his mentor (Liam Neeson) who is rumored to have abandoned the Christian faith. To prepare for the role, Andrew studied diligently with a Jesuit father, James Martin. In a fascinating interview, Andrew shares that those studies became more important to him than the film, and what transpired through the studies surprised him. “What was really easy was falling in love with this person, was falling in love with Jesus Christ. That was the most surprising thing,” Andrew says. Andrew wasn’t a Christian when he started the film. But he recognized a certain pain in his heart. “The main thing that I wanted to heal, that I brought to Jesus, that I brought to the Exercises [the Spiritual Exercises of St. Ignatius Loyola], was this feeling of not-enough-ness,” he said. But in meditating on Jesus’ life and words he found himself being transformed. Back to the film…I absolutely loved it! The story presented two levels of religious conundrums. At the first level, Garfield’s character is challenged to deny his faith in Christ or die. He chooses his faith over his own life. But then a more difficult choice is presented—to deny his faith in Christ, or others will die. This young Jesuit priest has to wrestle with whether it’s more Christlike to publicly bear witness to your faith though it will cost others their lives, or to sacrifice what is most precious to you (your public faith) in order to save others. I won’t spoil the movie with what choice Garfield’s character makes. But I’m curious which choice YOU think is better—if you’re told to deny your faith or ten people will be executed, what do you think Jesus would want you to do? Post your comments below. And then, check out the movie SILENCE.